Though his name continues to pop up regularly as writer or story man on a good chunk of Iranian cinema, Abbas Kiarostami himself has not filmed anything even vaguely commercial since 2002’s “Ten.” The maestro has disappeared into making more abstract, experimental installations, theater pieces and films (“Five”). His latest, “Shirin,” wherein 112 Iranian actresses and Juliette Binoche are shot watching a 12th-century Persian play, with the play’s performance itself kept entirely offscreen, is unlikely to pack ’em in. 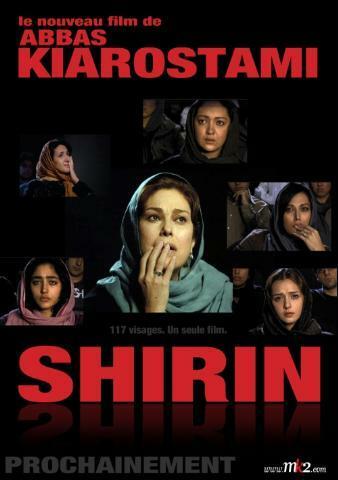 Yet “Shirin” offers a feast for the bedazzled eye and a crash course in narrative obsession for the benumbed mind. 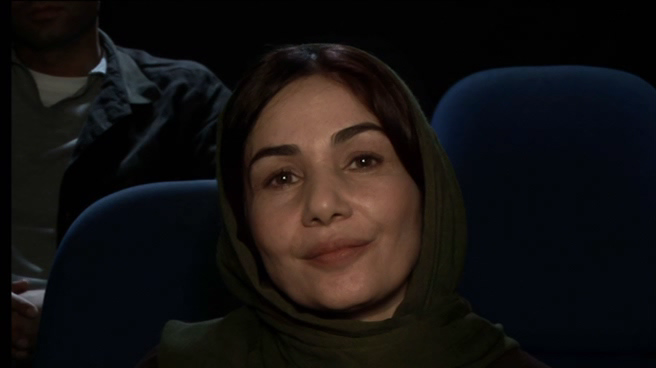 “Shirin” takes the film-the-audience conceit of “Where Is My Romeo?,” Kiarostami’s three-minute segment of the 2007 anthology “To Each His Own Cinema,” and expands it into a 92-minute film. Admittedly, the viewership for such a self-reflective exercise will prove smaller than that for Kiarostami’s more mainstream oeuvre. But in contrast with the wind and water in his minimalist “Five,” the women’s faces here tell a compelling story, indirectly implying or reconstructing the unseen narrative. The play, told in telescoping flashbacks, concerns a love triangle between an Iranian king, an Armenian queen and an Iranian sculptor. Yet the offscreen spectacle remains a mystery since, like the perversely elaborate, stagebound Busby Berkeley numbers in “Footlight Parade,” Kiarostami’s production is improbably rich in sound effects that hardly seem theater-friendly: Crows caw, full orchestras play, armies clash, brooks babble, and noble steeds gallop, neigh and whinny. Meanwhile the women, each individually framed by an immobile camera against empty seats or with other women (and an occasional man) partly visible in the soft-focus background, form a brilliantly composed, sensually vibrant visual text. All the Sturm und Drang of the offscreen pageantry functions as mere pretext for the richness of emotions that flit across their watching faces. Kiarostami fabricates a fascinating tension between film narrative and film imagery, the spectators’ closeups simultaneously reading as a ghostly reflection of theatrical artifice and as the story itself. In reality, the different actresses were shot facing an abstract, blank space with three dots and told to imagine an incident or movie. Later, dialogue and sound effects were crafted and the whole audiovisual interrelationship painstakingly edited together after the fact. Like “Ten,” “Shirin” comes across as inescapably feminist, suggesting Kiarostami’s personal stake in employing Iranian actresses whose talents he has never before tapped. The film also tips toward feminism in that the younger, prettier faces are not necessarily the ones that capture the eye. Juliette Binoche, bare of makeup and draped in a drab veil, appears almost more Iranian than the Iranians.